Based on but not adapted from the hit Saturday morning cartoon! Life in Edge City has always been tough for good guy Stanley Ipkiss. 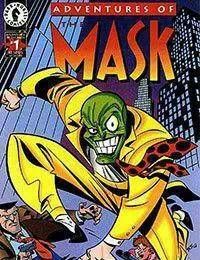 But now that Stanley is in possession of the ultra-powerful artifact, the mask, its. . . well, tougher! There is truth in the old axiom that with great power comes greater trouble! The trouble is everybody wants the mask, including Pretorious, the villainous bad guy, and Walter, the mute monster!